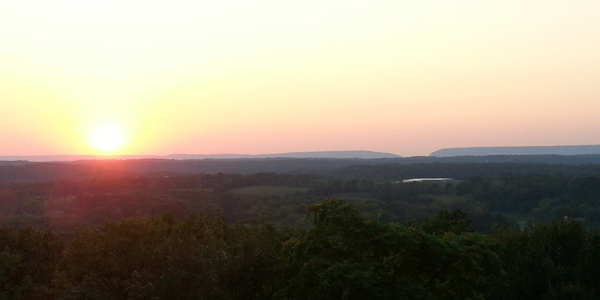 This summer has had many days of hot and sticky weather. You may have checked on the humidity, only to find it was at a meager 50%. How could the humidity be so low, when it feels so high? The answer: dewpoint! Dewpoint is the temperature at which water vapor in the air condenses into liquid water, such as in the form of dew, fog, or possibly rain. The dewpoint is always lower or equal to the air temperature, hence why dew or fog often occurs during the early morning hours, when the air temperatures are typically lowest and the dewpoint highest. On the other hand, the relative humidity is the ratio between the current amount of water vapor in the air at a given temperature to the maximum amount of water vapor possible in the air at that temperature. The relative humidity is not an exact ratio between the current air temperature and dewpoint! In the summer months, we have many days reach an air temperature of 90° with a dewpoint around 70°. This only yields a relative humidity of 52%. However, using a heat index calculator, these conditions “feel” like 96°F! 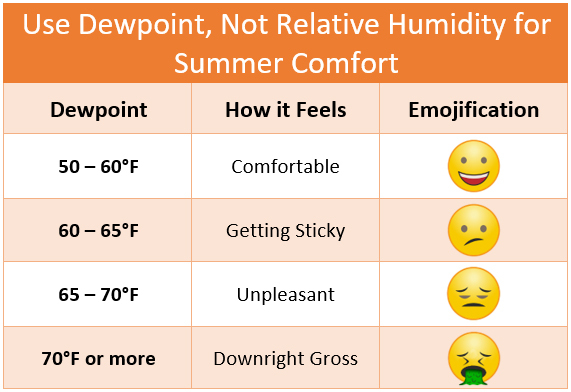 So next time you plan to be outdoors on a “hot and humid” day, check the dewpoint and heat index rather than the relative humidity to get a sense of how hot it will feel. As always, remember to seek out cooler, shaded areas and remain hydrated on those oppressive days. Your body will surely thank you! 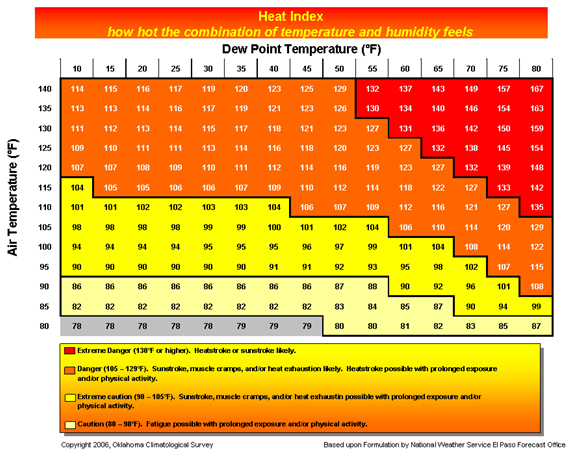 A heat index chart based on dewpoint and air temperature courtesy of NWS El Paso. Want more weather information like this? Like us on or follow us on .